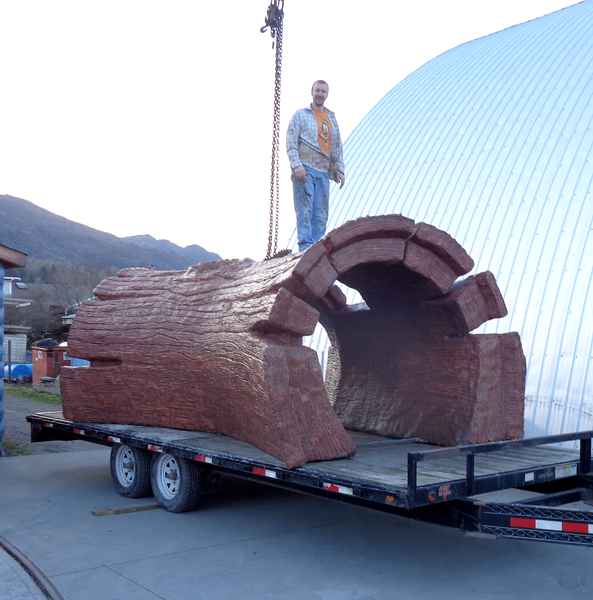 Today it was time to do the giant log install at last. It was wheeled from the shop last night. This morning when I returned from delivering the tool trailer to the worksite John Wishlow was all set up in the driveway and ready to begin the load. We hooked it up and when it was clear of the ground John could weigh the piece on his crane. It weighed in at a whopping 5,800 lbs. John smoothly centered and dropped the big load on the trailer. Peter hopped up to unhook the chains. We threw on some heavy duty straps and Chris was off to the lake. 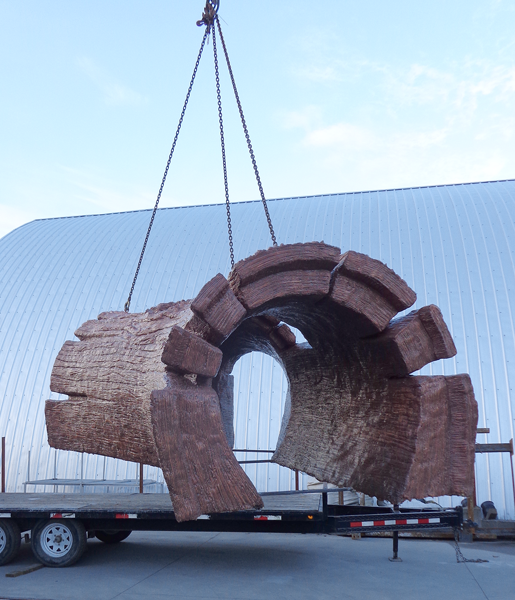 The unload was of course the reverse process - only a whole lot more difficult as the site for the log was at the furthest end of the crane truck's capabilities. We hooked up the log securely and it was time for it's final flight and fly it did!. John lifted the heavy log up and over the water tower we had installed a few weeks back and skillfully lowered it into position. Chris' crew did the manhandling on the ground to get it just another couple feet past John's reach. It worked and another key feature was home. 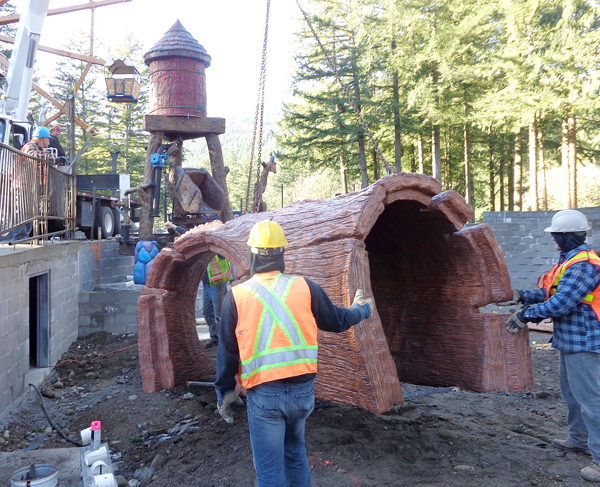 Every day we add another piece to the magic that will be Cultus Lake Adventure Park. It's a whole lot of fun!